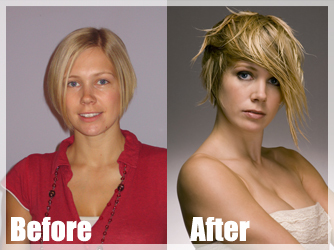 Want to change your style? Ever thought of changing the length of your hair? Rapture Hair extensions are the best Remi Human hair and some of our extension clients say they are the best human hair extensions they have ever worn, especially if you want to have a dramatic change of length. They also just as easily integrate with your own hair to give volume or even colour!! Without the commitment to the chemical alternative, whatever your chosen look, Rapture extensions are the best quality on the market today. Remember to use the recommended aftercare kit; a shampoo, cream conditioner, daily conditioning spray and extension brush, and remember to have them checked by your stylist every six weeks to make sure you’re managing your extensions well. We have been using this product and system for over 5 years and nearly all of our extension clients have loved having them. In 1989, we were the first salon in Wigan to offer monofibre hair extensions. We were also the first salon to offer a hair extension service in the north west. If you just want to lengthen part of your hair style – for example, your fringe area or maybe your sides – or maybe just to add volume and thickness to your hair, then human extensions are for you. True there are advantages to having the human extensions – you can use stylers GHd’s straightener, etc. 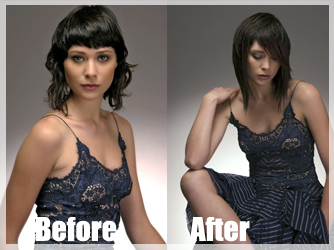 – but we recommend you have regular appointments with your stylist to make sure you are maintaining your extensions well. We are specialists in our extension service. Both types are fantastic and very easily wearable for up to 3 months. (Prices given on consultation depending on your requirements). 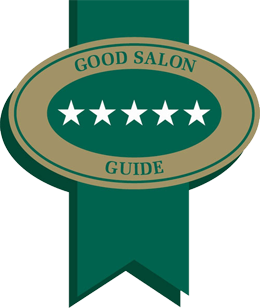 If you are already a client here at The Cutting Rooms, remember we offer a discount for your next appointment, if you do us the honour of recommending our services to a friend, family member or colleague who is new to our salon.